Tapscott's Copy Desk Has Moved to Examiner.com! Tapscott's Copy Desk bowed in the Blogosphere to somewhat less than unanimous and thundering acclaim Nov. 16, 2004. Many posts later, what might be called the "Blogger phase" of Tapscott's Copy Desk - because I've stayed with the Google program despite much frustration - ends tomorrow, Dec. 4, 2006, with a move to Examiner.com. Go here to see the new digs. Examiner.com is the web site of Clarity Media, which publishes The Washington Examiner where I toil happily as editorial page editor, as well as editions in Baltimore and San Francisco. More editions will be coming online in various cities across the nation in years to come. The three hard-copy editions collectively reach more than a million readers six days a week, while Examiner.com is drawing more than a million visitors a month. Numbers like those should make it clear why I am so enthusiastic about moving from an independent blog to a publishing platform with vastly more circulation and immense potential for awesome growth. 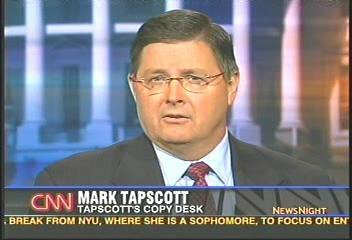 This original incarnation of Tapscott's Copy Desk will remain here as an archive. Thank you so much to everybody who has spent time at this site, posted comments, emailed suggestions or otherwise contributed to the modest success I enjoyed with this humble site. And now, on to year six. Prof. Stephen Bainbridge of UCLA is among the most widely read law profs due in no small part to the fact he covers a wide variety of topics ranging from business and law issues to politics, wine and cars. He's also a member of The Examiner Blog Board of Contributors. Bainbridge has now unveiled a massive redesign of his blog, but the overhaul is not simply to how profbainbridge.com looks. Bainbridge has changed the underlying concept of how he uses his blog. It is now actually a portal to a blog-based online magazine divided into three distinct sections, or blogs. 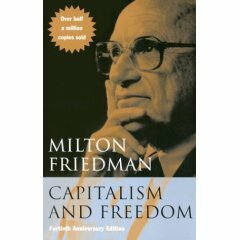 ProfBainbridge.com is now "the front page of a blog magazine in three sections." His Prof Bainbridge's Journal, for example, is where he covers politics, cars, non-business law, political incorrectness, dogs or whatever else strikes his fancy. Check out this post on a new study that indicates those sky-high CEO compensation packages may also result in higher pay for the folks back down the management line. His Prof. Bainbridge's Business Associations Blog is where you will find his scholarly work, as well as posts concerning the work of others in business law that he finds worthy of comment. Check out this post on investor activism in, of all places, China. The third section is Prof. Bainbridge on Wine. You will find much more than the results of the UCLA prof's most recent wine-tasting tour. Betcha didn't know there were First Amendment issues involved here. Check this out. Congratulations to the good professor and let it be noted here that I expect ProfBainbridge.com could quite possibly be followed by a bunch of smart bloggers intent on directing the highest form of flattery in his direction. One of the great things about the Internet is how it is giving voice to so many young conservative stars-in-the-making. Like Mary Katharine Ham. With each succeeding edition of "Ham Nation," you can see her confidence growing and an influential, entertaining, thoughtful personae emerging. If you doubt me, just watch the latest edition and MKH will explain why Democrats are the "psycho ex-girlfriend of American politics" and the GOP is the porkrind-gorging ex in denial "sitting on the couch eating Ho-Hos." I'll bet Chris Matthews and Tim Russert had no idea Ho-Hos could have political implications!